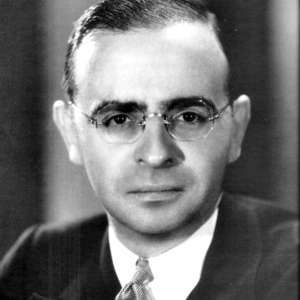 Max Steiner was an Austrian composer who achieved legendary status as the creator of hundreds of classic American film scores. As a child he was astonishingly musically gifted, composing complex works as a teenager and completing the course of study at Vienna's Hochschule fuer Musik und Darstellende Kunst in only one year, at the age of sixteen. He studied under Gustav Mahler and, before the age of twenty, made his living as a conductor and as composer of works for the theater, the concert hall, and vaudeville. After a brief sojourn in Britain, Steiner moved to the USA in the same wave as fellow film composer Erich Wolfgang Korngold and quickly became a sought-after orchestrator and conductor on Broadway, bringing the Western classical tradition in which he had been raised to mainstream audiences. He was soon snatched up by the film studios with the advent of sound and helped the fledgling talkies become musically sophisticated within a brief few years. He was one of the first to fully integrate the musical score with the images on-screen and to score individual scenes for their content and create leitmotifs for individual characters, as opposed to simply providing vaguely appropriate mood music, as evidenced in King Kong (1933), which set the standard for American film music for years to come. From the 1930s to the 1960s, he was one of the most respected, innovative, and brilliant composers of American film music, creating a truly staggering number of exceptional scores for films of all types. He was nominated for Academy Awards for his scores eighteen times and won three times. Years after his death in 1971, he remains one of the giants of motion picture history, and his music still thrives.